Our custom created property pictorials integrated with professional photography and text descriptions are uploaded right onto our MLS in Houston, Texas and easily found by all those doing a check-the-box MLS search for specific and pertinent properties. MLS search features are quite powerful, and having visually engaging files like SMARTePLANS® uploaded onto MLS and immediately available in response to MLS search queries — is a stunning advantage. We have been culturally conditioned to want/ need/ require IMMEDIATE information and SMARTePLANS delivers. In response to the MLS search query, the fully-functioning file is made available in an easy-to-access PDF format that magnifies to over 6400% (so no detail is too small), features high definition photos launching out of it (so you can “see” the property in full color) and is linked to a very detailed amenities list of the finishes and features depicted in the photo (even the inside-the-cabinet/ closet/ drawer organizational components you actually can’t see in the photograph). SMARTePLANS are self-directed … you are not captive to a video … you click where you want to click and view the areas of the property in the order you want to view them. And people do .. they take their time .. and go through each room, studying each and every photo and its descriptive text. The agent reported that at least twice the buyer stopped and said, “you know… this is amazing …EVERYTHING is exactly like I saw it online. Exactly”. And in that particular case, he bought it … this $1M+ home sold with a total of 23 days on the market. Uploading onto MLS is just the starting point for marketing real estate with SMARTePLANS. Consider how marketing your property gets expanded exponentially with this visually engaging digital product — over a wealth of distribution channels! The final file is a PDF, so it can be uploaded nearly everywhere … the Agent’s own website and the Agent’s nationally branded broker’s site are good places to start. Specialty real estate listing sites for golf-course homes, or water-front homes, or homes on equestrian properties allow more specific targeting to match the property; and of course the luxury real estate sites like “Luxury Portfolio International” or “Christie’s International Real Estate” and similar sites may also make sense for your property. Both Agents and Sellers report uploading it onto their own real estate company’s intra-net site … the internal network for their respective companies … produces VERY good results! The files or links to the SMARTePLAN are easily included on Facebook, LinkedIn and Twitter which absolutely expands the range of the marketing for your property. If you said “… look at my home for sale on MLS” but if you say “…check out my home for sale and its cool floor plan with photos launching out of it” many will open it up …just to peek … and forward it — so of course it “gets legs”. 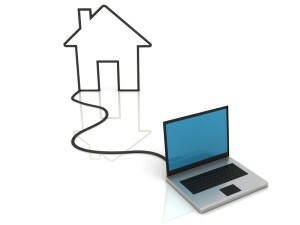 Many real estate agents and their brokers have blogs, blogs are a natural destination for a SMARTePLAN. In addition to allowing easy access to the integrated floor plan file, bloggers have the opportunity to talk a little bit more about the desirable features of the property. In contrast, many MLS property descriptions are confined to 250 words or less .. a blog provides you a great deal more flexibility in sharing meaningful information about the property. How Much More We Can Do For You!